Taalthuis has its own teaching method for the beginner and intermediate levels and has been developing the course material since 2006 adding an e-learning program to it in 2015. 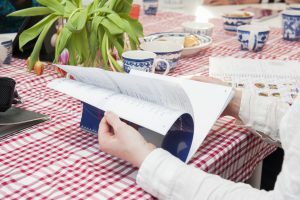 The participants receive all the course materials during the course. The course materials consist of a grammar book and a workbook and access to the e-learning. All students will have access to the e-learning program. They make online exercises, listen to vocabulary and songs and study the main grammar. Taalthuis also uses self-developed language games. Taalthuis does not use self-developed programs for the advanced level.